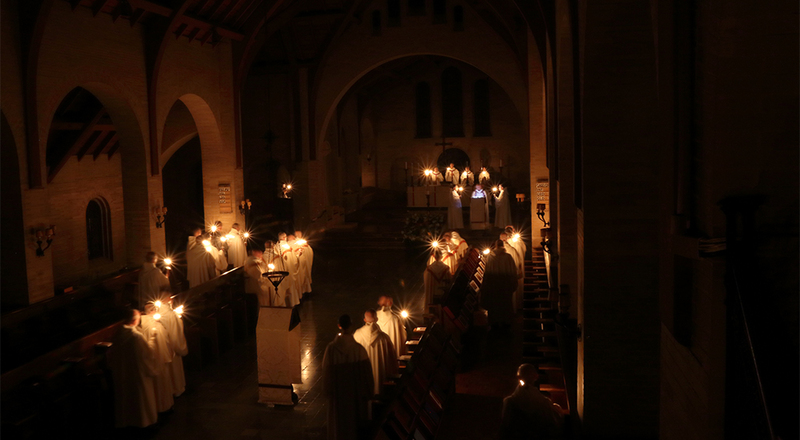 St. Joseph Abbey will be hosting a Monastic Experience weekend for single Roman Catholic men between the ages of 25 and 45 who believe they may be called to the monastic life. In addition to joining the monks to pray the Office in choir, candidates have opportunities to work and speak personally with the monks and other men who are discerning a monastic vocation. There are conferences on monastic life, on Saturday evening one of the monks shares the story of his vocation, and on Sunday candidates are invited to join the monks for dinner in the monastic refectory. To register for the Monastic Experience Weekend, inquiries should be made to the vocation director, vocation@spencerabbey.org Tel 508.885.8700 X 518. Candidates may arrange to visit at other times as well. The Abbey’s Vocation Director is always ready to listen, encourage and counsel any prospective candidate.